“Since I first announced my candidature for the Benue South Senatorial District on 26th January 2014, this singular move has elicited a lot of interests and ardent followership by Idoma people and non-Idoma alike. 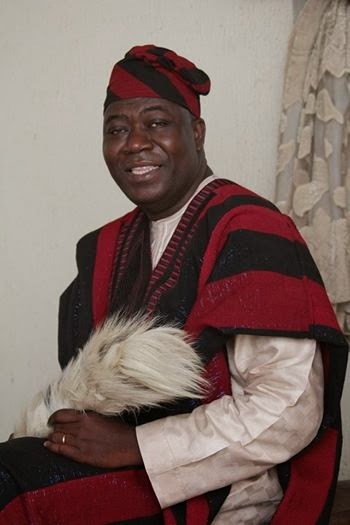 Many have wondered what inspired this decision, especially in the face of the apparent aversion of other Idoma sons and daughters, who though are equally eminently qualified, have refrained from expressing interest in vying for this office which has been occupied by one individual since inception of the current political dispensation in 1999. To address these inquiries, I have outlined below, why I think the incumbent holder of that office should no longer continue in that office when his current tenure expires on 29th May 2015, when he would have spent 16 years in office. 1. He has not fulfilled any of the many promises he made to Idoma nation since first being handed this mandate in May 1999. We all know that one of the major planks of his campaign has been his promise to facilitate the creation of Apa State for the Idoma people, a subject so dear to the Idoma nation because of the challenges we face within the context of our current existence since the creation of Benue State in 1976. Not only has he contested and gone to that office for the past four consecutive terms on the strength of this promise; he has also occupied this position as conventional Senator for 8 years and as Senate President for another 8 years. It should be clear to him by now, that having occupied the highest possible office he can aspire to within the Senate, and not having been able to deliver on this promise during the past 16 years, another term of four years to make a record 20 years in that same office will not make any difference. The Idoma people now know better that they can no longer be hoodwinked into believing another round of recycled promise of Apa State, because the process of State creation is no mean task within a complicated Federal structure like ours in Nigeria, and no single person, no matter how well connected, can make it happen. 2. The Idoma people cannot point to any significant achievement the incumbent Senator has made during his past four terms in office. All roads in Idoma Land are a mess, including the one leading to his own village of Akpegede. The only new Federal project during the past 16 years, which is the reconstruction of the Otukpo - Oweto Road, was inexplicably terminated at Iga-Okpaya, leaving out much of the rest of Apa Local Government and the entire of Agatu Local Government, both of which have hardly seen any form of government presence since time immemorial. This road, which terminates at Oweto, provides a very short access to Abuja, if there were a bridge across River Benue at Oweto. Even though a contract has reportedly been awarded for the construction of this bridge and preliminary works are said to have commenced, no one knows when this project will be completed, if at all, judging from the penchant for abandoned projects in Nigeria. Considering the enormous influence the Senate President wields over the budgetary process, he could have included any project within his constituency in the Federal budget all this while if he so pleases and all the Ministers would have been falling over each other to execute them. But this has not happened, and will not happen no matter how much longer he stays in that office. In fact, I have it on high authority, that some Federal projects earmarked for Zone C, such as the Makurdi - Naka - Adoka - Ankpa Road, which was included in the 2009 draft Federal Budget, was deliberately removed from the final budget document by the Senate President because he said that Adoka people do not usually vote for him during elections! Even the Otobi dam project which held out significant promise for provision of much-needed potable water in Otukpo and surrounding communities has become a white elephant project, with the forced abandonment of the project site by the Chinese contractors handling the project, due to non fulfillment of the contractual terms by the Government. 3. Our teeming youths still remain unemployed and frustrated in spite of their enormous talents and high level of intellect and education, largely because they have no hope of access to government appointments, not being favoured siblings of the Senate President, or his in-laws! It is obvious that we all cannot be favoured siblings or in-laws of the Senate President, and need not be, to enjoy the benefits of citizenship of this potentially great nation and reap our inalienable rights to the dividends of democracy. A true leader shows empathy for his people, no matter their circumstances, and expands the frontiers of opportunity for his people, without undue favoritism or nepotism. 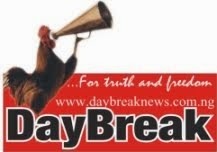 This trend, which is fast becoming the norm among political leaders in Idoma Land and elsewhere, needs to be consciously discouraged, since not all of us can have our elder brothers or sisters in high offices, to be able to enjoy the basic benefits of governance, such as employment for people who are amply qualified. Let me assure you that this campaign will never resort to denigration of the person of the Senate President, because it is in our collective interest for him to continue to enjoy the high esteem in which he is held at the national level, because after all, as the saying goes, “if you do not want your brother to be king, you will never be the brother or sister of a king”, but we must also not shy away from telling the truth to constituted authority, especially where such people hold positions in trust for the people which they have consistently used sub-optimally, to the collective disadvantage of the people. That is the only way to hold our political leaders to account, and make them realize that they hold the mandate of the people, and must remain their servants and not their masters, no matter how exalted their positions may be. In the course of the following days and weeks, I will outline my vision for the Idoma nation, in very specific terms, so as to provide documented evidence of what I am committing to, as I seek the mandate of our people to provide unalloyed leadership while occupying the position which I currently seek. I assure you that, in the truest spirit of Okaleya, I will never promise what I know I cannot deliver, but whatever I commit to, I must deliver on, no matter how difficult or inconvenient it may be. I urge you all to be united, focused and committed to this cause for positive change in the difficult days and months ahead, for I am confident that a new dawn beckons on us as a people, if we have the vision and courage to see this through. Let me assure you that this cause has become the reason for my existence, and I will not only give it my best, but also my all!